began operation in 1909 and, despite many threats to its preservation, continues to serve sailors today. The state historic park that houses the lighthouse boasts several historical buildings and wide Pacific Ocean views. You can access the light station buildings via two walks. The easier of the two starts at the south end of the parking lot and is paved. The dirt path located at the north end traverses grassland and coastal prairie. By the lighthouse, you can find three restored lightkeeper homes, one of which has been transformed into a period museum. 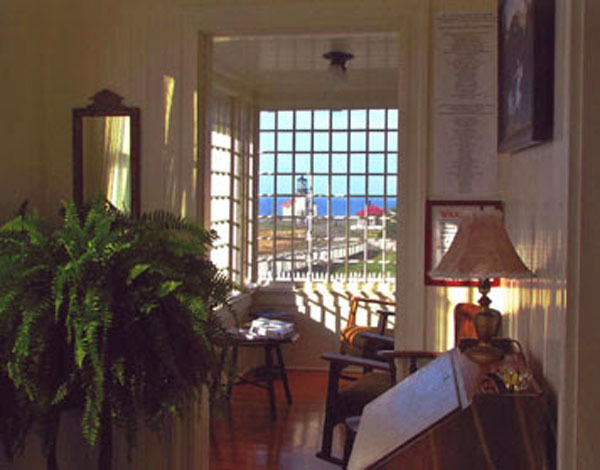 Its artifacts and displays illustrate the lighthouse's history and provide a glimpse of local history. 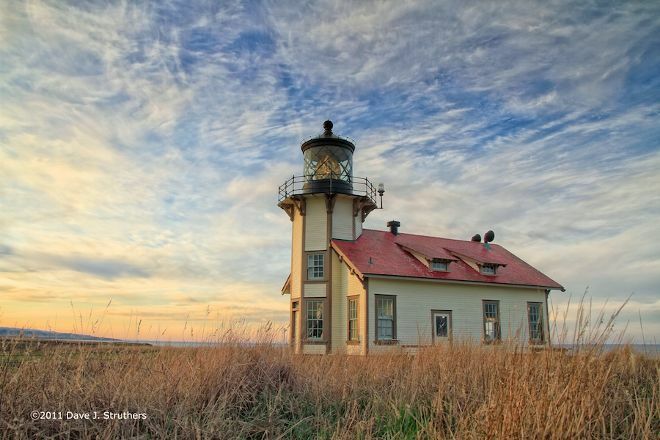 Make Point Cabrillo Light Station a centerpiece of your Mendocino vacation itinerary, and find what else is worth visiting using our Mendocino travel tool . Easy to get too and, it wasn't very crowded on a Monday. There is free parking even a charging station for EV Vehicles which is nice. There are questionnaires about wild animals on the right when you're going to the lighthouse, and it's a short half mile walk with benches on the side if you get tired going back up. Well I house is small and quaint but beautiful and simple and there are stunning views behind it. The lighthouse is pretty cool, if not a little busy from other tourists stopping by to see it. They have lots of stories and historic facts on the walls as well as your typical tourist-y goods for sale. Of course, the scenery alone can’t be beat. We just sat outside on the benches for about an hour watching the people and the waves. Definitely worth checking out! Nice 1/2 mile walk from parking lot. There are a few parking spots nearer the lighthouse. Small, 2 story operating lighthouse. $5 for adults. Beautiful shoreline surrounding lighthouse. A beautiful natural delight with grand vistas and cute squirrels. The old light house houses a small museum and helpful staff working as volunteers to keep the place open to the public. A short walk to get to the light house from the parking (approx 500 m). Worth a visit if you're in the Mendocino area! Stopped here for a quick look. There is a good walk down to the lighthouse so be prepared with some good shoes. There is a little museum and store so bring your cash if you want to get something. They had some very cute items. But left ours behind. Worth the stop even though it was cloudy that day, it is still beautiful . Every day, we help thousands of travelers plan great vacations. Here are some tips on how to use your Listing Page to attract more travelers to your business - Point Cabrillo Light Station. Promote your permanent link - https://www.inspirock.com/united-states/mendocino/point-cabrillo-light-station-a78136865 - on your website, your blog, and social media. When a traveler builds a plan from this page, the itinerary automatically includes Point Cabrillo Light Station. This is a great way for travelers looking for a great vacation in your city or country to also experience Point Cabrillo Light Station. Promoting your link also lets your audience know that you are featured on a rapidly growing travel site. In addition, the more this page is used, the more we will promote Point Cabrillo Light Station to other Inspirock users. For best results, use the customized Trip Planning Widget for Point Cabrillo Light Station on your website. It has all the advantages mentioned above, plus users to your site can conveniently access it directly on your site. Visitors to your site will appreciate you offering them help with planning their vacation. Setting this up takes just a few minutes - Click here for instructions.